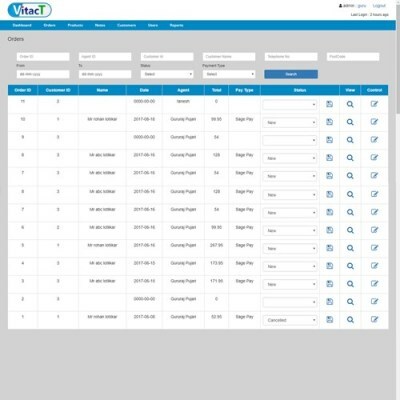 The complete customer management software for VitAct is developed to handle the international clientiele in UK. A multiuser web-based interface with robust security with ease of use was conceptsualised. Vitact is a company providing medical supplements to customers in United Kingdom.